Another rainy day in Singapore! 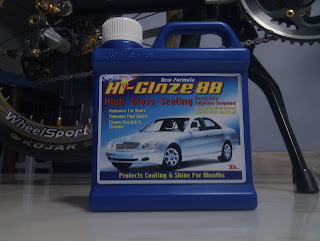 No cycling for today, but that also means that I have time to try out a new product, the Hi Glaze 88 Car Polish. I recently bought this car polish as I have heard that it is really good for polishing cars. 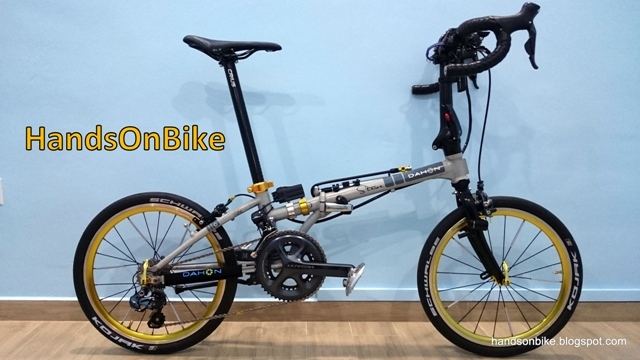 Well, I see no reason why it cannot be used on bicycle frames, therefore I decided to buy it and give it a try. It should be available at most places that sell car stuff. I got mine at NTUC Fairprice Xtra! 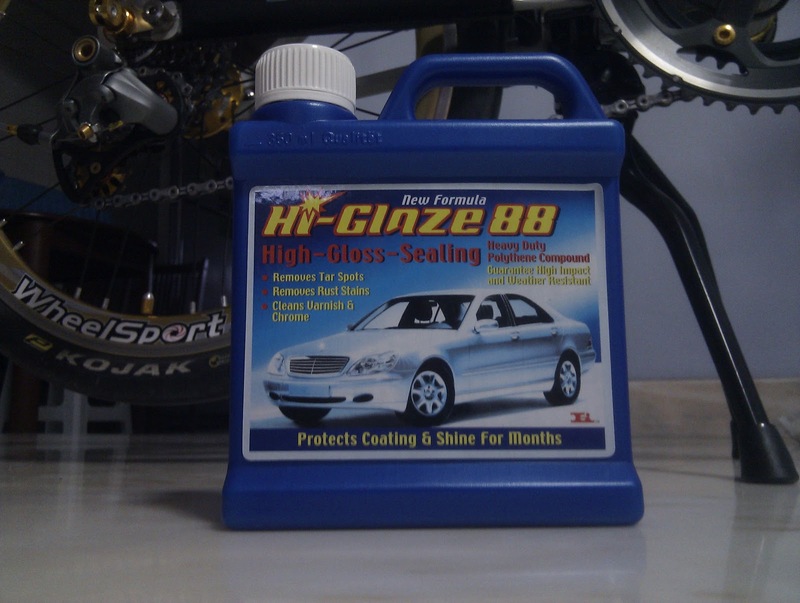 Hi Glaze 88 Car Polish. Can be used on almost any surface! Prior to this, I was using the Black Magic Liquid Wax. 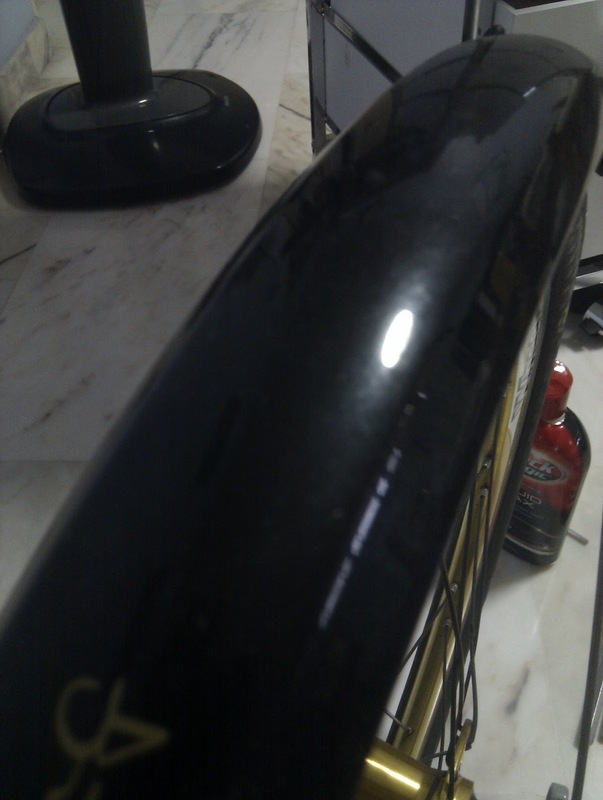 That is actually a very good wax that cleans and protects your bike frame at the same time. If done properly, it gives your bike frame a mild shine that feels smooth to the touch. However, I feel that it tends to rub off rather easily. Quite satisfied with the shine though. The Hi Glaze 88 has very simple packaging, just a small rectangular container of 350ml. It is made in Germany. 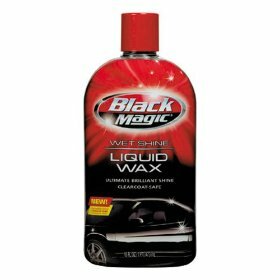 Usage of this is similar to other car polishes, you will need to first clean the surface and then use a cloth to rub the liquid on the surface. After that, wipe off with a clean cloth. The results are simply amazing! Even after only 1 coat, I can see that it is much better than the Black Magic Liquid Wax that I was using. The Black Magic Liquid Wax is already a very good wax, but the Hi Glaze 88 is awesome! It gives the surface a very nice shine, something like putting lacquer on it. Much better than I expected! I have also heard that you can layer car polishes, so if you keep applying the polish, the protective layer will get thicker and also make the surface look shinier. 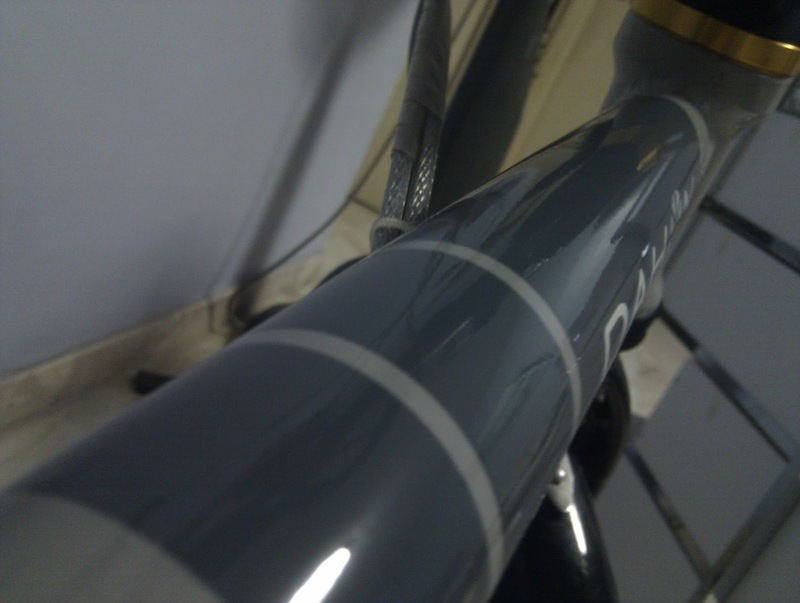 Wow, if one layer of polish already makes the bike look so shiny, what happens if you apply more layers on it? I was keen to find out, thus I decided to apply more layers on the bike frame. 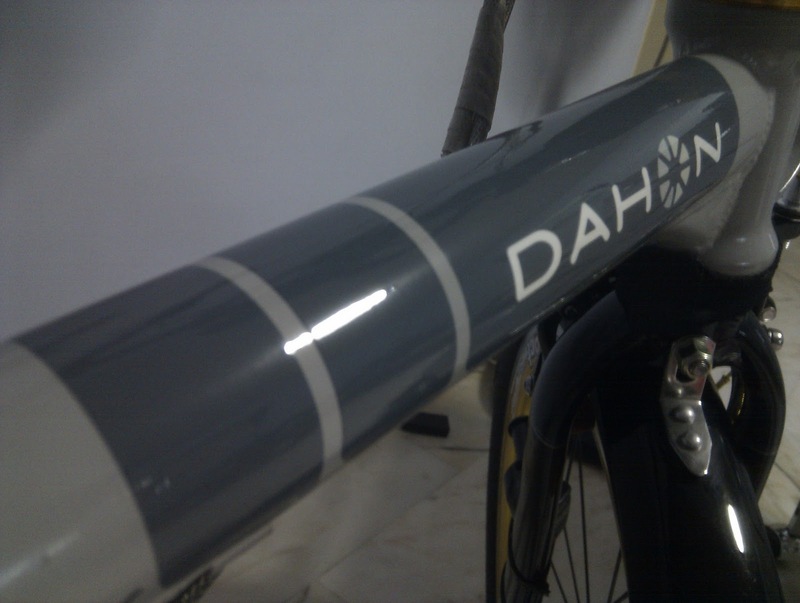 My Dahon Boardwalk frame after one layer of Hi Glaze 88 polish. After five layers of Hi Glaze 88 polish. Much much shinier! In fact, it gets very addictive and rewarding as you can see that with each additional layer, the bike gets shinier and shinier! The surface is also very smooth to the touch, which makes the bike look even better than its original brand new condition. See how reflective the surface is! The pictures cannot fully bring out how good the polish is, you got to see it with your own eyes to believe! And just for the heck of it, I decided to polish other surfaces and see how it turns out. The fenders look like a pretty good candidate to me! Fenders before polishing. Dull shine with visible microscopic scratches. 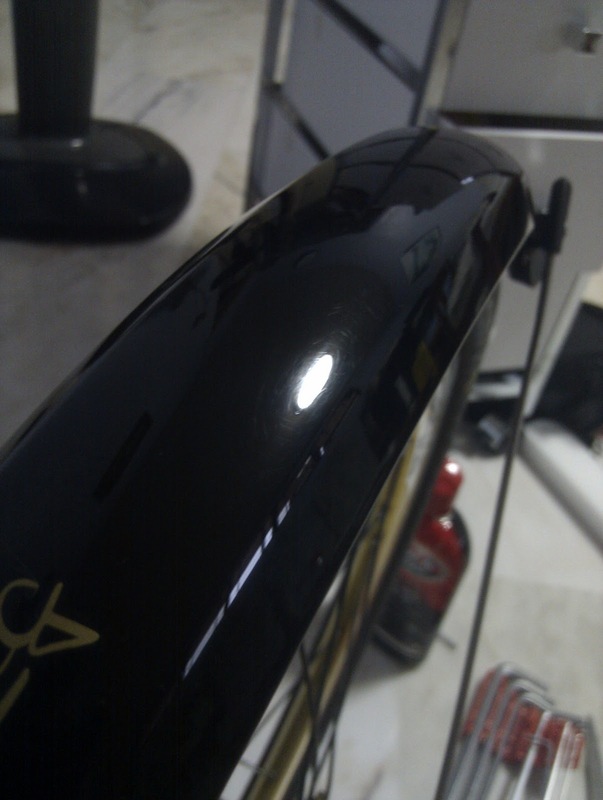 Fenders after two rounds of polishing. Look how smooth and shiny the plastic surface is! The only downside to this product is that the liquid in the bottle is too thin, which means that you have to be careful when pouring the liquid onto the cloth. You will also need to apply it bit by bit so as not to let it drip all over your bike. But the results are definitely worth the time and effort! I would highly recommend this product to anyone who wants to make their bike shine like a newly polished car! 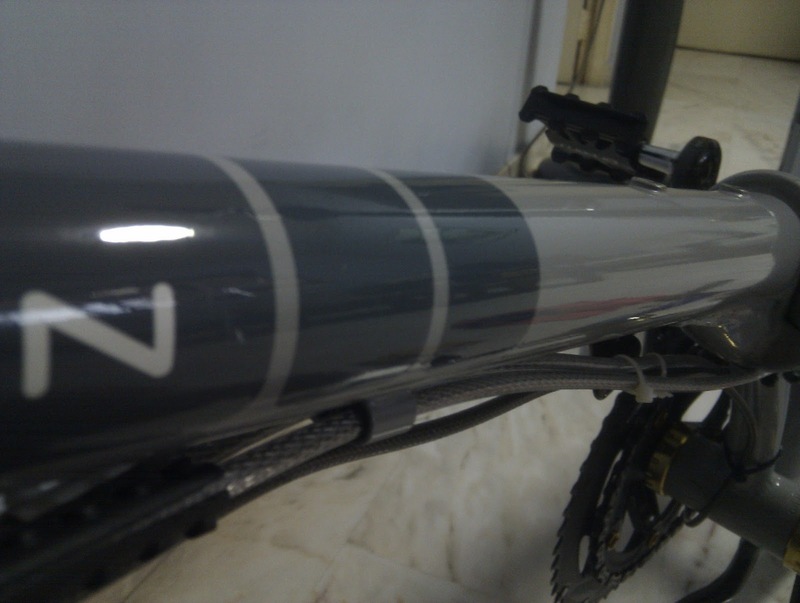 Besides making your bike look awesome, the layers on the bike frame also helps protect it from dirt and water. The smooth surface will help to repel dirt, and even if dirt sticks on the frame, it can be easily wiped off with a cloth. Any idea how to get rid of slight rust on some of the bicycle parts? I tried Aluminium foil but it's not helping for some parts of the bicycle, e.g the small nuts and gear wiring at the front of the bike. 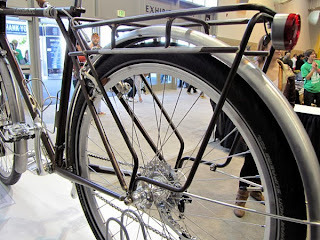 I want my bike to be rust free!